Hugo is the absolute best. His knowledge of the area and his love for for it are obvious. He speaks English fluently. He drives magnificently. He is totally sensitive to your needs and interests. He's a pleasure to be with and has a wonderful sense of humor. You cannot do any better. Hugo is the best. We had completed a 14 day cruise from Buenos Aires to San Antonio and were required to leave the ship by 8 AM but had a flight back to the USA at 10:30 PM. Hugo to the rescue. He gave us tour that included Pablo Neruda's sea side home, amazing views and murals in Valparaiso, stops in coastal villages and a great boutique winery tour. Along the way he proved to have incredible knowledge of history and Chilean politics. Our day with Hugo was another trip highlight. Outstanding day in Valparaiso and at the winery. Hugo knows so much and took us on a most informative walk through Valparaiso including funicular rides before we went for a premium experience wine tasting trip. Far superior wines to those being offered to the larger tour groups. Hugo's English is excellent and he is happy to answer any questions you have. A perfect day and we would not hesitate to recommend Hugo to anyone thinking of using him. TOUR GUIDE RESPONSE: Thank you Ann for your comments.I feel very happy to know that our day in Valparaiso and wine region was good for you.I really enjoyed to share a nice walk and talk with you and your friends.You are a wonderful group,always smiling and making jokes.I fell full of positive energy with people like you.I hope you had enjoyed that wonderfull rosé wine from Casas del bosque. All the best for you.Merry Christmas. Hugo. Excellent tour with Hugo! Highlighted important sites in 4 hours and provided not just information but wonderful context with his descriptions and answers to our questions. Speaks beautiful English, VERY knowledgeable, thoughtful and anticipatory. Highly recommended! TOUR GUIDE RESPONSE: Thank you very much Richard for your comments.I really enjoyed to talk with you so many different subjects about our countries and people.A good tour is 50% local guide and 50% people like you who show a real interest to know about the country.Thank you very much and I hope you enjoy your visit to Chile and Argentina. Regards, Hugo. Having never used Tours By Locals before, I booked 5 tours while in South America! All were fab, so if you're not sure, just go ahead and book. Hugo was my favourite tour guide of the trip (all get 5 stars!). He was completely fluent in English, could chat about anything and everything, adapts to your needs (we like to walk a lot). He was intelligent, knowledgeable, humorous and an excellent tour guide. I would definitely recommend him to family and friends. His car was spotless and water was provided. We took a tour to Valparaiso and Viña del Mar with Hugo, and also were able to add a visit to Casas del Bosque in Casablanca valley, one of the top wineries in this area. Hugo has a LOT of experience and was extremely knowledgeable. He took us on a walk in Valparaiso, we had the freedom to stop, drink a coffee within the beauty of this place streets.... an unique and relaxing experience. I recommend to Valparaiso to everyone visiting Santiago, this was definitely our trip highlight. TOUR GUIDE RESPONSE: Nilka thank you very much for your comments.I am very happy to know that you enjoyed our trip to Valparaiso.Thank you and Javier to allow me to share a great walk and a wonderful coffee break enjoying the magic of the old colorful port. I hope to see you again. All the best, Hugo. We had a very enjoyable day with Hugo. He is extremely friendly, knowledgeable about an amazing variety of topics, and speaks English fluently. He was flexible with the final timing and sequence of stops that we could use this trip also as our airport drop-off, and he adjusted the tour to accommodate the different weather conditions that day. Highly recommended tour and guide. TOUR GUIDE RESPONSE: Hi Timothy.Thank you very much for your comments.I really enjoyed our day in Valparaiso.Thank you to share with me nice walks in Valparaiso exploring the old port. Hope to see you again. Hugo. Hugo completely exceeded our expectations! He helped us create a custom tour based on the things we wanted to do, where we wanted to go and when we wanted to do it. Very flexible and helpful in selecting wineries, restaurants and sites. He showed us some hidden gems in Valparaíso where he lived for five years. During our drive from place to place he gave us interesting facts about Chile, Santiago, Valparaíso and answered any and all questions that we had. Very intelligible! Cannot recommend Hugo enough! TOUR GUIDE RESPONSE: Thank you very much Brian and Katherine for your comments.I really enjoyed our walk in Valparaiso.I am sure the painting that reflects so well what Valparaiso is, will look wonderful in your house.I hope too see you again. Best Regards. Hugo. Hugo was amazing. Very knowledgeable and he took all of our needs into account . He adjusted the tour so that we could see what we wanted to see. Would recommend him very highly. We give him five stars. Hugo took us on a half day tour of Santiago. We wanted an overview of Santiago with some Jewish cultural highlights. Hugo went above and beyond anything we had hoped for. He tailored the tour just for us. He's extremely interesting, interested, and knowledgeable. Hugo is wonderful. We highly recommend him. Hugo was great. His English was very good He was friendly, very knowledgeable and made the tour very interesting. He recommended a place to eat next to hotel and it was extremely good. I sas very happy with Hugo as a guide and would use him again if ever there was the chance. TOUR GUIDE RESPONSE: Hello Stanley thank you very much for your kind comments.For me was a great pleasure to have shared with you a wonderful day in Valparaiso . I hope you enjoy the cruise to Miami. All the best for you. Hugo. Hugo has a very pleasant, engaging personality and was a pleasure to spend the day with. He also is extremely knowledgeable about the history, culture and politics of Santiago. We highly recommend him. Hugo was just excellent. Knowledgable and engaging he was one of th e best we have ever had. TOUR GUIDE RESPONSE: Thank you very much Lawrence for your wonderful comments.I feel very happy to know that you enjoyed our tour together. It was very nice to meet you. TOUR GUIDE RESPONSE: Thank you very much John for your wonderful comments.It was a pleasure to meet you. Excellent tour. Would highly recommend Hugo. Very informative and friendly. TOUR GUIDE RESPONSE: Thank you very much Junalyn for your wonderful comments.It was a pleasure to share with you a great day in Santiago. Hugo met us at the designated time and place where he said he would meet us. 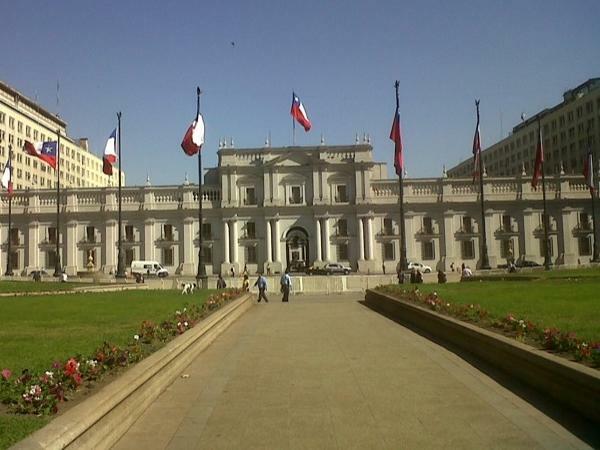 Hugo is extremely well versed in English and knowledgeable about Chile and the history of its culture. He was very patient and accommodating for our group of six. I would highly recommend him as a tour guide in the future. Hugo was an excellent tour guide. Hugo met us at Santiago Airport promptly and was professional, knowledgeable and friendly throughout the tour. He was flexible and customized our Tour based on our interests and time. He stopped at an excellent restaurant for Chilean Empanadas that were great and gave us an opportunity to try the local cuisine. I would highly recommend Hugo - his English is excellent. TOUR GUIDE RESPONSE: Thank you very much Kathy for your wonderful comments.It was nice to meet you and share a great day. Hugo was very knowledgeable and friendly and he found us a very good local cafe for lunch - excellent tour. Hugo was very knowledgeable and friendly. Excellent tour. My wife and I booked this tour in advance of our cruise out of San Antonio, Chile. Our tour guide, Hugo, is extremely knowledgeable about Santiago, Valparaiso and Vina Del mar and his English is excellent. The winery tour was well done and fun. Hugo's vehicle was clean and well maintained. As agreed to prior to booking, Hugo delivered us to our hotel in San Antonio after the tour. I highly recommend this tour and guide. TOUR GUIDE RESPONSE: Hello Gary and Gloria how are you.Thank you very much for your kind comments about our tour together.It is great to know that you enjoyed the tour,I know you were very tired that day so what is most important is to do the tour comfortable for you. All the best you,merry Christmas. Hugo. We really enjoyed our tour of Viña del Mar and Valparaíso with Hugo. He's very knowledgable of all of Chile, and a lovely guy to boot. Would highly recommend him as a guide! 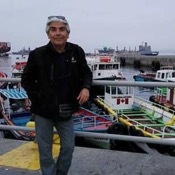 TOUR GUIDE RESPONSE: Hello Harold how are you.Thank you very much for your comments about our tour to Valparaiso.I really enjoyed our great walk and nice talks on the hills of Valparaiso enjoying the best views. It was a wonderful experience to share with you both a great day. Thank you very much,all the best for you. Merry Christmas. Hugo. Our tour with Hugo was amazing! He was timely and extremely friendly. His knowledge of the history, people, geography and natural resources of Chile was endless, but always fascinating. He personalized our tour and his passion for Chile was obvious and infectious. We recommend Hugo to any travelers to Chile. Our tour was to Valparaiso and Viña Del Mar - Hugo also gave great advice for our remaining travels throughout Chile - we will follow his recommendations and know they will be enjoyable! TOUR GUIDE RESPONSE: Hello Erik how are you.Thank you very much for your comments about our tour together in Valparaiso.I hope you enjoy every place you visit in Chile.It was very nice to meet you and a pleasure to share with you our trip to Valparaiso. Best regards, Hugo. Hugo, is a great guide with a passion for his country. He was most informative on the city tour of Santiago, and explained the political history of Chile very well. He was also extremely accommodating.. He picked us up from the airport and was right on time with a posted sign. We came in early and our room wasn't ready st the hotel, but he suggested that we start the tour earlier. He graciously waited while we got organized at the hotel. I highly recommend him as a tour guide in Santiago Chile. TOUR GUIDE RESPONSE: Hello Howard thank you very much for wonderful comments about our tour together in Santiago.I hope you have enjoyed your visit to Chile may be you will come back in the future.I really enjoyed to share with you both a great time walking Santiago.A great pleasure to meet you. All the best for you. Hugo. Hugo organised a bespoke tour for us to visit the local bakeries and taste the local bread. It was well organised and very informative. Further to this he took us on a wonderful day trip of the city and surrounding areas. He is very knowledgeable about the city, the country and the continent. A great trip Hugo thank you. TOUR GUIDE RESPONSE: Mr.Lunt thank very much for your wonderful comments about our tour together in Valparaíso.For me this was a wonderful opportunity to share with you both a great walk and conversation in Valparaíso. All the best, Hugo. It is a great way to get from Vaparaiso to Santiago after disembarking from a cruise ship. TOUR GUIDE RESPONSE: Thank you very much Ken for your wonderful comments.It was very nice to meet you and share a great day. Hugo is a wonderful tour guide and extremely knowledgeable.Together we worked out how to make the most of the time we had. He is an excellent driver and his English is very fluent.